Winter means relative quiet here in Florida. There’s no scrambling for shelter or worries about whether your home will make it through the next storm. This is the perfect time to think about getting your home ready for the next hurricane season because there’s no rush. Now, you can take all the time you need to think about what hurricane shutters are right for your property. Hurricane Safe Products offers everything from traditional accordion shutters to clear panels that let you see outdoors. It’s always a good idea to take proactive measures to protect your home before disaster strikes. 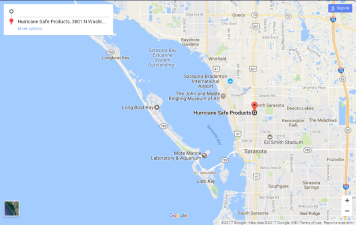 Hurricane Safe Products can walk you through the process of figuring out what your home needs. Contact us today for more information.